To our many supporters, donors, volunteers and friends of The Sub Zero Mission, greetings! 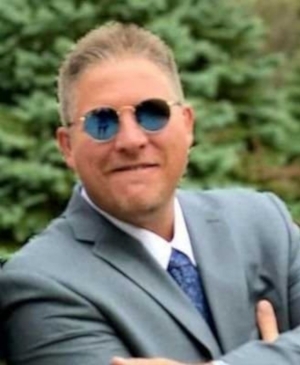 This is Al “Sarge” Raddatz, the CEO of the mission. As I write this, it is the first day of Spring 2019. We have just completed our 10th delivery season. That’s right! 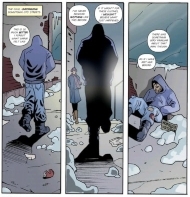 It was 10 years ago that two friends, both veterans, decided to gather the warming items from their garages and find homeless in our own city of Painesville, Ohio. Knowing that 1 in 5 of the homeless are veterans has been the driving force behind our mission, however, we have always wanted to help as many people as we can find. As you know, our motto is “Nobody Should Freeze to Death in America”. In those 10 years we have served the homeless in over 30 cities and at least 5 states. I am happy and proud to say that we have reached the end of our best delivery season to date! And we managed to do it all and can still proudly say that we do it without a single board member or officer receiving a salary of any kind! This is our annual end of season report. My intent is to give you, our supporters, donors and friends, insight into our Mission, how we get it done, how we use your donations and other funding that we receive. In years past, I have focused mostly on the delivery season, but there is so much more that goes on behind the scenes, I would be remiss not to tell the story. I hope you like what you see and read! Of course, you can always contact us with questions and comments through our social media pages or through the website. As always, on behalf of our board of directors and our team, and, of course, on behalf of the homeless we serve, THANK YOU for all that you do to help us to help them! Looking internally, I thank every member of our Board of Directors and every volunteer! I am so proud of this team. Before we can begin any season, we must assess the previous season and determine what works and what opportunities do we have to do things better. These opportunities drive change. And change is always needed to make improvements towards success. We did not have turnover in our board. We did, however, welcome a new Board Secretary in Vickie Maloney. Vickie has been a supporter of our mission for many years. 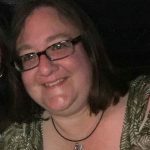 She brings to us many skills that she uses in her full-time job at Progressive Insurance. She has been an asset to us this year. Not only does Vickie keep the minutes in our meetings, she also keeps us on task between meetings. Every organization needs a couple of people who keep things moving forward behind the scenes and Vickie is one of ours! We help everybody we find when we go into the night. We are looking for veterans, though. We have always wanted to do more to get veterans off the street. We want to empower them to return to society by educating them of the programs available. Frankly, this was not good enough. veterans we encountered were not finding the programs that we were telling them about. The VA was not able to get out and contact the veterans where we were finding them either. As a team, we knew that we needed to close that gap. To that end, we added Tim Hickey as a veteran coordinator. Tim is a Marine Corps veteran of the Iraq war. Who better to relate to a veteran than another veteran? Tim’s role was limited in scope this year to a) network and find as many veteran affairs representatives and veteran centric groups as he could, b) determine what information those groups needed to contact, verify and help the veterans, and, c) train our team to get that information. 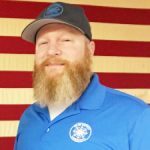 After each mission this year, Tim worked to connect veterans with the VA and other groups. We also made two major changes in the delivery arm of the organization. First, we sought better communication and training within the delivery team. To achieve this, we implemented a model from the military of “small unit leadership”. Our delivery team, known as The Blue Coat Missionaries, is composed of nearly 40 volunteers. All of them have full time jobs. Many of them come straight from the job to our headquarters to go out and deliver at night. With so many people, there are bound to be changes and cancellations that happen during the day which might cause them to be absent. I often found that I was a single point of failure for call-offs and replacements. In our new model, we divided the team into squads and promoted three of our senior team members to Squad Leader roles. Squad Leaders are expected to field cancellations and find replacements from their team, provide a point of escalation for safety and other concerns, and provide constant training to ensure uniformity in how we do our job. Our squad leaders are Del Bethel, Jason Lawson and David Bethel. Next, we formed a team that is focused on our buses and the safety of the team. Our buses must always be safe and sound. They are the key to what we do. We again stole something from the military and formed a team that we call Motor T, short for Motor Transport. 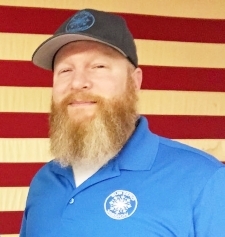 This team consists of a Squad Leader, Bob Ramey, two diesel mechanics, 7 CDL w/ passenger endorsement drivers and two people who provide technology and equipment support. One process was noted as a deficiency in our organization. That was the process of thanking our donors. Because we received so many donations in so many ways – through website, cash handed to team members, through the mail, through Facebook, through work teams, etc. – the most important part of our process, a simple “Thank You” was being missed. This year, we made it a mission to have a 100% thanking policy. As a team, we focused on saying the words when we were in person with donors and supporters. Email thanking was implemented for online donations. Every check we received had a thank you written and signed by me before the check was cashed. I believe that we thanked nearly everybody who donated to us this year, with one exception. We are still unable to determine who donates to us via the Facebook donation links. This is because Facebook is required to protect donor data. Because of this, we receive a check and statement. The statement, however, only shows us a donated amount and “Anonymous Donor”. We continue look for ways to thank the donors, but, until we do, if you donated via Facebook, please know that we appreciate you! Our mission is centered around the homeless. With so much attention on social media spent telling the story of who we find and where, it is easy to forget the level of effort that goes into financing the purchase and delivery of warming items. This said, our Events and Fundraising Team worked hard and met every goal we set. At the end of each delivery season (first day of Spring), our team takes a short break for 6-8 weeks. Our E & F Team begins to plan our series of events. This consists of signing contracts, seeking donation items for raffles, recruiting and training volunteers, making merchandise, creating literature, and many other tasks. These events are every bit as important as the work we do in the Winter. In fact, we don’t help a single person in the winter that isn’t paid for through work to raise funds in the Summer and Fall. Our Events Season consists of five main events from June to November and a series of Stuff the Bus events from October until December. In all, after expenses, the events raised $37,000 for our mission and for the homeless! The army of volunteers who ran these events totaled over 1,200 volunteer hours. Simply incredible! We also introduced a new program this year which allowed for our supporters to directly sponsor missions. With Mission costs estimated at $250 for shorter missions and $1,000-$1,500 for longer missions, we raised $12,500! Great job by our marketing team on this! We have a number of ways to donate to us. Channels include Facebook and other social media channels, the donate button our website, checks via mail, cash and checks directly delivered to us. This year, our donors were so generous! 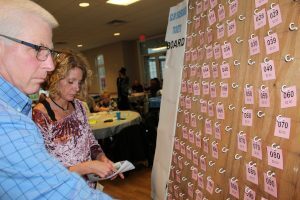 Overall donations totaled $115,000. Other small fundraisers, our store, donations and main events combined to draw a total of $202,000. While it might not seem like a large yield compared to other charities, with no salary overhead, we are able to channel all of that money towards the homeless! GREAT JOB by the events and fundraising team! Great job by our marketing team, too! 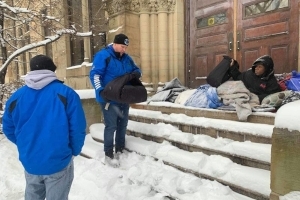 Our primary mission is to hand warming items directly to unsheltered homeless people. A secondary mission is to fortify shelters and warming centers. Always, we are looking for veterans among the homeless. We look for ways to get veterans who are unsheltered inside, if they will accept our help. Why wouldn’t they accept our help? There are many reasons, including disillusionment with the VA and suffering from PTSD. 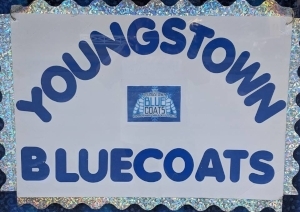 Our delivery team is called The Blue Coat Missionaries because of the blue uniform coats we wear. This year, The Blue Coat Missionaries traveled further than we ever have, went out more times into the cold than any other year, and handed out more warming items than ever before! The area we call our “footprint”, meaning someplace we deliver to one or more times each month during the season, is between Ashtabula and Akron. We also have a few “mid-range” delivery areas like Lorain and Erie, Pa. Finally, we have some long distance outreach. These are weekend trips to destinations 4-5 hours away. In all, our team deployed 61 times- 49 were night missions. The average number of missions per volunteer was 6.5 missions. In all, using 3.5 hours per mission as our average, we volunteered 917 mission hours. We served in 14 cities this year alone! From our first delivery (around Thanksgiving) until today, The Sub Zero Mission has delivered over 12,000 warming items! Most of these were delivered directly to the unsheltered. There are 47,000 homeless veterans in America. 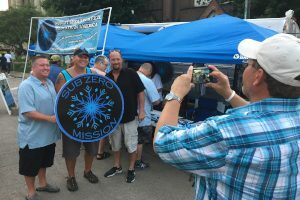 The Sub Zero Mission was started by veterans. Our team is made up mostly of veterans of all services and first responders. 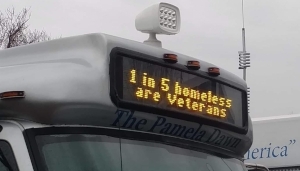 Our buses both have decals on the side that say, “Veterans Helping Veterans”. We serve a number of homeless shelters specifically for veterans. I tell whoever will listen to me that the word “homeless” should never be used to describe a veteran. Simply put, veterans are important to us. We still must do more. Leaving a veteran with a sleeping bag and boots is not enough. Leaving a veteran with a laminated street card with all of the local shelters and every way possible to contact the VA is not enough. Making a phone call to the VA and telling them where the homeless veteran is living is not enough. We knew this going into this season and we took the first step to improve our homeless veteran outreach. Our veteran coordinator and I have worked to develop means to track the progress of unsheltered veterans that we find. On our tracking board, we have several phases through which we work the veterans. We call the combination of phases “the woods”. These include obtaining identity information, verification of veteran status (we use partners of VA, SSVF, Vet Services, etc. ), obtaining the DD214, identification of a relevant program, and application for that program. Upon application, we consider the veteran to be in the hands of the VA, however, we will continue to track until we know that they are “out of the woods” and in housing. We have also identified some areas that we can monitor and measure such as Time to Inspect, where the veteran is waiting for housing inspectors from the VA. Currently, we have 18 unsheltered veterans that we are tracking on our board. There are three who we have been unable to verify their veteran status. We have helped five of them to obtain their DD214. Another three have refused any services from us and/or the VA. Two of them are nearly “out of the woods” and are waiting on the VA for housing. Another five have actually been successfully moved to some sort of shelter, whether it is housing, a hotel or a permanent shelter. 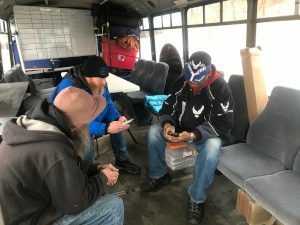 To help bridge the gap from a homeless veteran to the VA, we conducted two mobile meetings in which we took the local VA rep onto our bus and drove to where the homeless veterans are living. As part of our project next year, we will preschedule one of these meetings per month during our season. We also have begun to track other data. One measure we noted this season is the time that it takes to have a VA inspection performed of a potential residence. For one of our homeless vets, the time was 145 days to get the inspection. While there are legitimate reasons behind this long wait (the VA contracts this service), we worked to impress upon whoever we could reach on the phone that homeless veteran can freeze to death in an hour. In short, we are happy with the steps that we took to improve our service this year, but we are not satisfied with our results. While the fundraising season was very successful, we are not without expenses. Rent for our warehouse and headquarters, maintenance on facilities and vehicles, administrative costs, insurances, fuel, marketing and warming items are only a few that come to mind. Our budget this year was $145,000. Our spending was $174,000. Much of the additional spending was determined to be related to outfitting a new bus, permanent materials (white boards, shelving, store items such as racks, etc. ), and a lower number of items collected in our Stuff the Bus events. We have set our budget for the upcoming year at $135,000. This lower budget was agreed upon by the board with the understanding that many of the purchases for our HQ and buses will not be needed this year. We also believe that we will need to purchase less warming items wholesale due to a) remaining stock from this season, and, b) increasing the total number of items collected in our Stuff the Bus events. $43,000 were spent in the last 15 months on warming items (see below for details). The past year wasn’t all work. Our team had the chance to work on a fun project this year- our first graphic novel! What started as a conversation about how to stop much of our paper advertising and stickers from ending up in the trash bin, became the first part of a story of PTSD, homelessness and acts of kindness. Chris Huber from our team and I worked with graphic artist, Adam Fields, on the story. Adam matched the storyline with his brilliant artistry. The result was a quality product containing information about the hardships of veterans, links to our site and other information all contained in an interesting story that we feel will live forever on book racks and coffee tables in libraries and lobbies at veteran centers. Buy this graphic novel here. One surprise this season came in the form of a phone call from Chad Kilpatrick from a company called Spreetail. Spreetail is an online retailer who also has a focus on community impact. And, make an impact they did! Spreetail had heard of The Sub Zero Mission through our friends at The Empowerment Plan. Some of you may remember them from reports in the past. They make the survival coats that we deliver that turn into sleeping bags. After a series of phone calls with Chad, we were told that Spreetail would be donating 500 of these lifesaving coats! 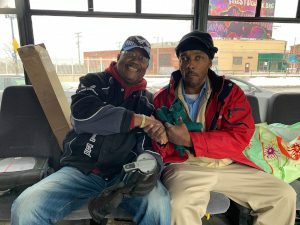 Not only would they be donating the coats, but twice they flew two-man teams into Detroit, who picked up U-Haul, loaded up at The Empowerment Plan and then drove to our headquarters in Painesville, Oh. One team delivered the coats with us in Cleveland. The second team went with us to Buffalo. We picked up the final portion of the donated coats when we made our trip to Detroit this year. This donation was a gift of life and godsend to so many. In all, we distributed 462 survival coats throughout the season. As far as we are concerned, these saved 462 lives. Thank you, Chad, Quinn, Brandon and Evan for the time you dedicated away from your homes and helping us! Thank you Spreetail for your generosity! You can find out more about Spreetail here. As a non-profit, especially a BBB 5-Star Wise Giving Charity, it is important that when you collect more than you spend, you focus the additional funds towards projects that align with your mission statement. We are doing just that! Below are some projects that we intend to implement. All of these either directly or indirectly help the homeless. In all, we are dedicating $27,500 this year towards these projects. Provide temporary transportation to treatment, work, training, etc. The team has a vehicle that allows for safety of the team and adequate space to carry necessary warming items without having to make multiple trips to the storage facility. Administrative materials, flyers, websites, etc. are created to enable team to collect necessary items. Volunteers are trained for safety and efficiency to service the homeless. Currently, the headquarters for our mission is not fully suitable for us. First, we are required to be the primary renter in a building that is bigger than our current needs. To defray the cost ($18,500 last year), we are forced to rent rooms to other business and be landlords. The building does not allow for us to park our buses inside. Since both buses are diesel, parking outside causes difficulties in fuel freezing during the coldest weather. This leads to non-starts on nights when we are needed the most. Additionally, the weather outside causes the buses to prematurely age and forces repairs and premature retirement. We are putting $15,000 into savings this year and each year after until we can find or build the place that meets all of our mission requirements. Buses are able to be parked inside where they can be cleaned and maintained and no delivery missions are cancelled due to non-starts. Area for sorting and preparation of delivery missions is warm for volunteers to work in. Washers and dryers are available onsite for serviceable readiness of warming items. 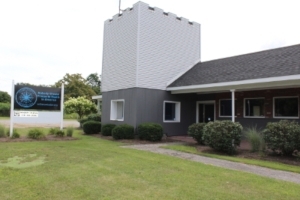 The Sub Zero Mission is currently renting space at 1760 North Ridge Ln in Painesville Ohio. Our rent is $18,500 per year, of which we see no return on investment. Due to the extreme weather and chemicals used on roads to reduce ice, our buses suffer wear and tear throughout the season. During the season, the weather prevents us from maintaining the bus due to cold temperatures. The temperatures also do not allow us to rinse salt from the vehicles. This forces us to retire and replace vehicles more frequently. Cold weather related non-starts prevent us from delivering to the homeless. Our current outdoor parking prevents us from safely plugging in our engine block warmers. Extreme cold temperatures sometimes freezes our fuel. Our current location is poorly heated in the winter and has no air conditioning in the summer. This makes it a challenge to keep volunteers. Our current location does not have city sewer, rather it is septic. This and several other factors prevent us from having our own clothes washers onsite. 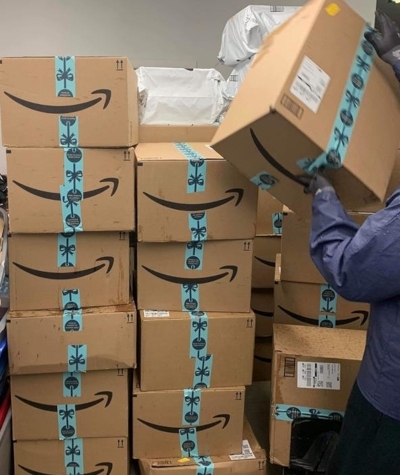 This prolongs the process of making donated items serviceable for the homeless, increases our costs and causes our volunteers to be offsite and unable to attend to other organizational needs while cleaning the donated items. We have been in business for 10 years. Coats for the more senior members have begun to wear through. Some members are not the same size as when they received the coats. Our current coats are thin and not warm and lack any reflective safety markings. We intend to save $5,000 for each of the next two years. This $10,000 will be used to replace the coats for our 40 team members. A coat for each member of the delivery team properly sized and fitted. Well insulated and waterproof to survive the harsh elements we work in. Ample pockets and storage for flashlights, radios, pamphlets, and other gear necessary for the completion of our missions. Reflective striping on the front and back for easy visibility by our delivery vehicle and other team members. As much success as we had this past year, in closing, we must reflect on the opportunities we have to improve. Below are several areas where we intend to focus to be the best we can be at what we do and make our supporters proud. We will never ever be satisfied leaving the veterans on the street. We made strides this year developing a tracking method for the vets with whom we came into contact. Next year we will do a better job of obtaining contact information from the homeless veterans as well as information regarding where they are during the day. Recontact is a must! Additionally, we work to strengthen the relationships we forged this year with partners in veteran advocacy. We will work for better turnout. We will better communicate our needs. Our events, marketing and finance leaders all can use resources. Volunteers to help with our online presence, trustees and auditors to help with more monetary transparency, people to help run our events at an expert level are needed. These volunteers in sub committees will help to provide up to date and accurate data to help the Board make better and timely decisions. Our grant writing program has not found funding consistently or in abundance. In fact, we only received $3,200 in grant funding last year. This puts the burden of fundraising on the Events Team. Events are subject to several potential failure points. These include weather, distance, competing dates, lack of or poor marketing. Events require a lot of energy. Last year our team spent over 1,200 hours into running events. This does not account for time spent calling donors, selling tickets and other administrative and logistical tasks. Over time, we must shift our funding to a more permanent lower energy model. NOBODY SHOULD FREEZE TO DEATH IN AMERICA!